Got a question about a used part you’re considering? Need some installation pointers on what other items/parts you will need for that upcoming install? 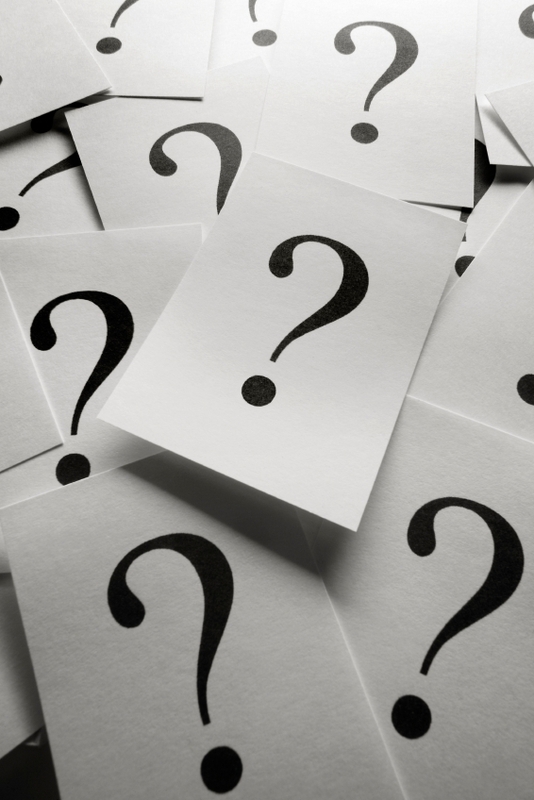 We get these questions all day long…but often from people who never purchased the parts from us in the first place. So, if this describes you, we can still help. Our advise starts at $100 per hour, with a minimum 1 hour charge, maximum of 5 hour charge. We’ll help walk you through an install, assist you in scrutinizing that used parts purchase, etc! We’re blowing out stock on all remaining Carbonetics 2 way Carbon/Carbon LSD’s for the 350Z, 370Z, G35 and G37 with MANUAL TRANSMISSION. These are a direct replacement for the factory VLSD. If your car is a base model, then we can also supply all the remaining parts you will need in order to install it to your car. These are priced to move for a limited time @ $1079 SHIPPED (original MSRP is $1499 + shipping) in the 48 states. If you live outside of the 48 states, contact us with your full, complete address (not just the postal code!) for the shipping quotation. I was in it the other night – very quick car, great midrange punch, very, very nice interior. I was especially impressed with the quality of materials and overall layout – it’s nice, regardless of price. This one is loaded with everything. HID’s (with the cool turning headlights), Navi, Bose – the works. Congrats Jon, shiny side up! M7 USA is proud to introduce the M7 Limited Edition Nobuteru Taniguchi Racing seat are the same seats used by Taniguchi in the GT racing series in Japan when he is driving for M7. 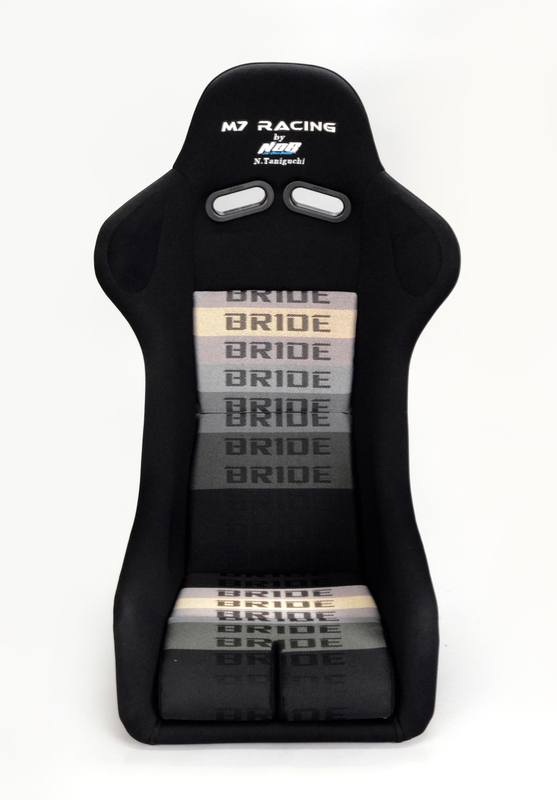 Each seat features a custom embroidered logo on top with Taniguchi’s name and are FIA approved so you can do some of your own GT racing! Each seat comes with a silver metallic shell and features a non slip buckskin shoulder support. Supplies are limited get one before they run out! Brand new for 2011, we are proud to announce a special edition WORK Emotion 11R-FT that is exclusive to WORK Wheels USA. Featuring Matte Gray Silver (MGS) Finish & Matte Gunmetal (MGM) Finish, there is also upgraded sizing, including a long awaited 18×10.5 sizing! Available only through WORK Wheels USA & our WORK Wheels Authorized Dealers! This WORK Emotion 11R-FT utlizes WORK Flowforming Technology, also known as spun forming here in the U.S. Sizes range from 17 inch to 18 inch. The key benefit for flow forming is able to reduce the barrel thickness, thus reducing the weight of the wheel without compromising the strength of the rim barrel. The 11R-FT is a good choice for motorsports racing use or at area where there are smoother roads. Unlike our competitors’ flow forming wheels, WORK flow forming wheels start with low-pressure cast construction, whereas some of our competitors use lower quality gravity casting. Application available for both front wheel, rear wheel and all wheel drive vehicles. Depending on size and offset, the Emotion 11R-FT is available with semi-concave or deep concave face. Some specs are BBK friendly. 1) 18×10.5 Sizing: The 11R-FT is the first Emotion series to have a 10.5″ width in the 18″ sizing. 2) USA Exclusive Finishes: Matte Gray Silver (MGS) & Matte Gunmetal (MGM) are standard finishes on this Emotion 11R-FT.
3) WORK Flowforming Technology (spun forming): The key benefit for flow forming is able to reduce the barrel thickness, thus reducing the weight of the wheel without compromising the strength of the rim barrel. The 11R-FT is a good choice for motorsports racing use or at area where there are smoother roads. Unlike our competitors’ flow forming wheels, WORK flow forming wheels start with low-pressure cast construction, whereas some of our competitors use lower quality gravity casting. 4) Big Brake Clearance: Due to the design of the 11R-FT, it is very brake friendly to large OEM calipers along with many aftermarket calipers. 5) Reduced Weight: By using WORK Flowforming Technology, WORK Wheels was able to save on average ~2.2 lbs. per wheel, while maintaining the engineering strength and integrity. 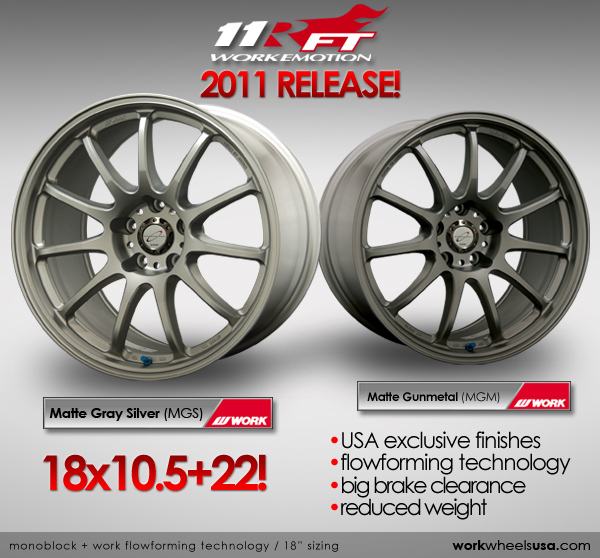 Work continues to expand their Meister lineup for 2011 with 2 new wheels – the S1R and M1R. Both are 2 piece wheels using low pressure cast center disk with a spun forged barrel. They come in a wide variety of 18 inch sizes only (18×7.5 to 18×11.5) and custom offsets. Available in silver, black or bronze centers, and polished or bronze lips and custom bolt patterns are available. Powergrid Endlinks for your Porsche, BMW, Corvette, and More! We’ve been offering the Powergrid endlinks for the 350Z and G35 for years. Google it, you’ll find out what everyone else already knows. That if you want the best endlink on the market, you found ’em. Well, we’re now carrying them for your Porsche as well. The endlinks connect your swaybar to your the rest of your suspension. As the swaybar moves during a turn (or technically, resists moving), the endlinks job is to keep the bar parallel to the ground. Whether you have stock swaybars or aftermarket, the harder you push your car, the more prone your stock links are towards snapping, or breaking. Many modern day cars use links that are made of cheap stamped steel, and many are even plastic! They are designed to be used with softer stock spring rates, and less grippy tires than true enthusiasts tend to use. As you increase the grip of the car, the endlink is placed under greater strain to control that swaybar. The same holds true when you’re fitting larger diameter, and adjustable swaybars. These stiffer bars place greater load on the endlink and those stock endlinks were never designed with that force in mind. The second thing to consider is when fitting lowering springs or aftermarket coilovers. 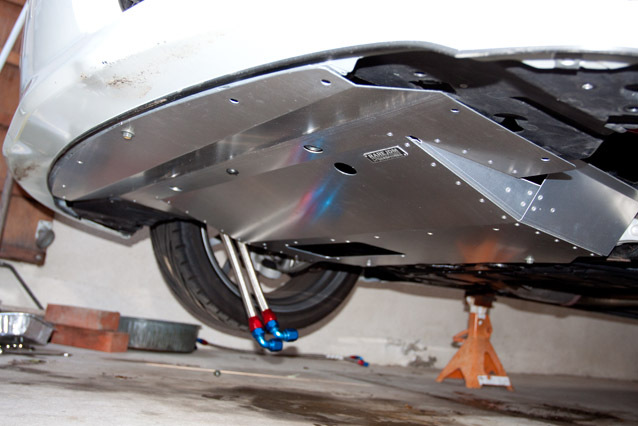 As you adjust the height of your car, you can often cause your swaybar to change position. That means during the compression stroke of the suspension, the stock swaybar can be limited in its movement (aka binding), which vastly reduces the ability of the bar to do it’s job. For those with coilovers, this becomes even more important if you’re looking to cornerweight your car. 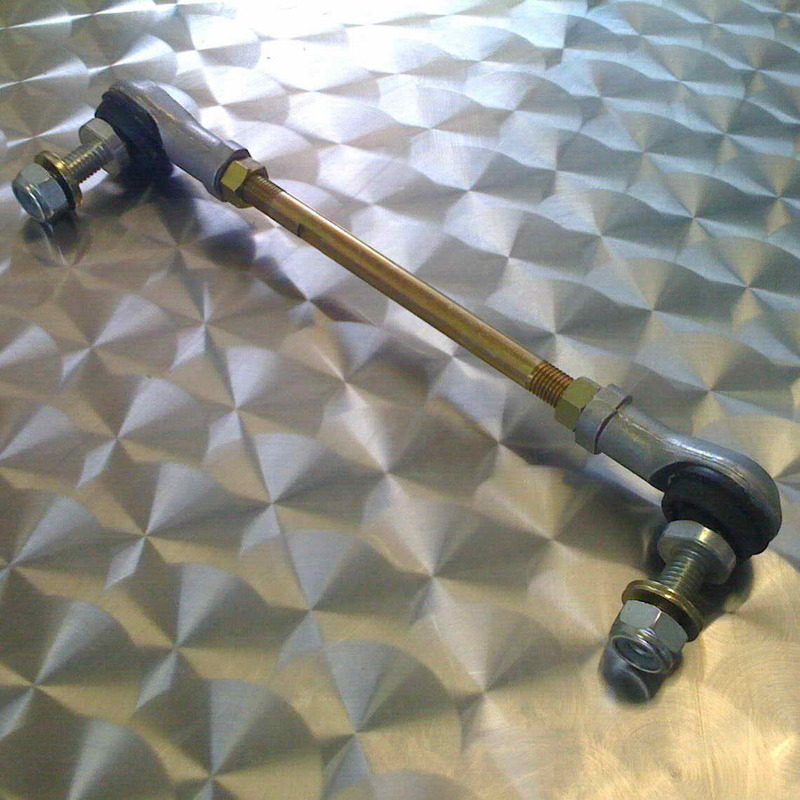 Having an adjustable endlink such as this allows you to adjust swaybar preload, and that translates into more effective cornerbalancing results and more effective swaybar tuning. Applications – tons! If you’ve got a performance car, we probably have an application for you. And we’re always looking to add more! These endlinks aren’t cheap to buy because they aren’t cheap to make. 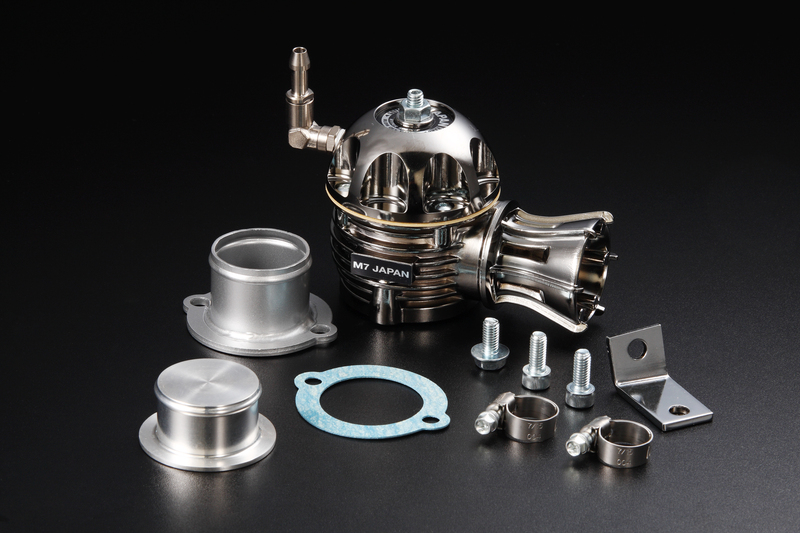 They use genuine THK components (THK is an OEM automotive supplier to tons of manufacturers). They don’t use hardware store heim joints like so many others out there. Those start out great and in short order tend to get very noisy as they are exposed to the elements, and accumulate dirt, sand, moisture, salt, etc. These endinks are different. They offer the articulation (ability for the endlink head to rotate, thus keeping the swaybar in the correct position), but are fully sealed. Never will require any maintenance – no grease, no cleaning, nothing! Cobb Accessport for BMW Turbos! 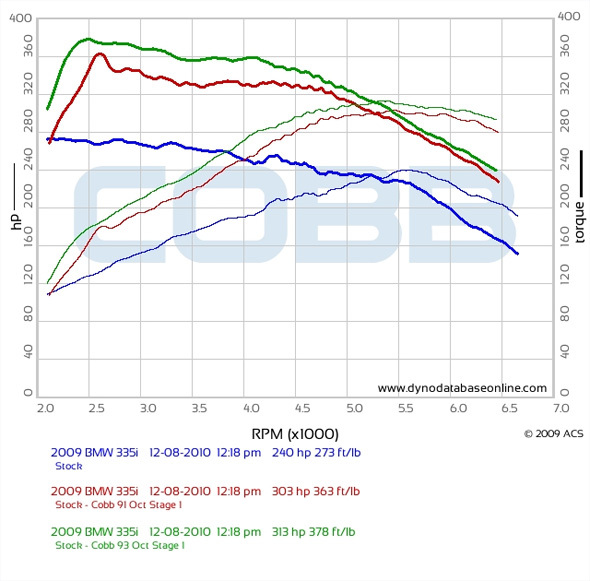 Introducing the COBB Tuning AccessPORT for 2008-2010 BMW 135i, 335i and 535i vehicles equipped with the N54 twin turbo engine. The AccessPORT brings hand-held ECU flashing, managing and monitoring convenience to BMW, unleashing untapped power hidden in the ECU with just the push of a button. The AccessPORT lets you quickly reprogram your car’s ECU with performance-tuned calibrations for instant power gains without any tools, wiring, soldering or downtime. Reprogramming the ECU generates significant power gains while retaining the sophisticated control logic and refined engine response developed by BMW engineers. Simply plug the AccessPORT into your car, install the desired calibration and enjoy the thrill of big gains in torque and horsepower! The AccessPORT puts control in the hands of the enthusiast. Install the AccessPORT at your convenience in less than 20 minutes from the comfort of your driver seat. The AccessPORT is able to store multiple calibrations, making map switching easy with just the touch of a button in under a minute. Choose from many pre-tuned maps for different levels of modifications and types of fuels and be ready for any situation. For extreme modifications or maximum power output, our ProTuner network can custom tune your setup on a dyno using our soon to be released AccessTUNER Pro tuning software. Flashing the ECU for increased performance is just the start of what the AccessPORT is capable of. Set the AccessPORT to Performance Mode to capture 0-60MPH times, ¼ Mile times and Trap Speeds. Switch over to Live Data and choose a gauge to monitor, such as; oil temperature, intake air temperature, throttle position, ignition timing, boost, MAF voltage, air/fuel ratio and many more. Select the integrated Data Logging function to record multiple channels of data for up to 10 hours for in-depth performance analysis. Go to Troubleshooting mode to diagnose issues by reading trouble codes and resetting the system once the issues have been resolved. Users can even configure the AccessPORT as a shift light that flashes the screen at whatever RPM you choose. The AccessPORT can even eliminate separation anxiety for those times you are away from your car. Protect your investment when out on the town by quickly loading the Valet map to limit engine revs and boost. And when it’s necessary to remove the AccessPORT, the uninstall process is simple, taking under 10 minutes and restoring the ECU to its original condition. The AccessPORT can be installed and uninstalled as many times as needed without fuss or hassle. 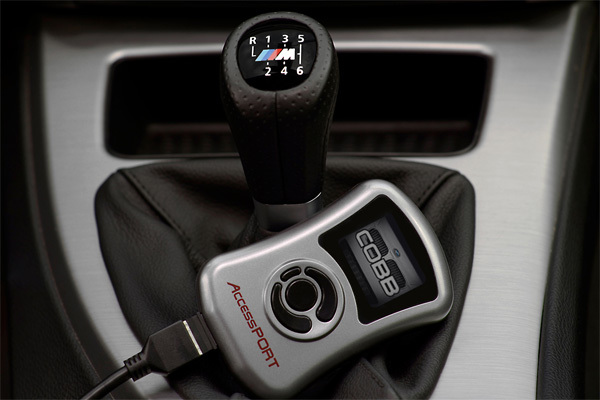 The AccessPORT from COBB Tuning is the most comprehensive hand-held ECU flashing, managing and monitoring device available for 2008-2010 BMW 135i, 335i and 535i vehicles. Satisfy your hunger for more power and control. Access the potential of your BMW today!